Mumbai -India will soon have banking point within the reach of 5 kms of every citizen, Union Minister of Finance and Corporate Affairs Arun Jaitley said. He was speaking at the 100th Foundation Day programme of Union Bank of India. Mr Jaitley further said that despite higher oil prices and periodic slowdowns, the Indian Economy has clocked good growth rate. 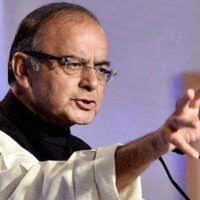 NPAs of banks needs to be curbed as healthy banks are necessary for growth of economy. The problem of NPAs which arose due to indiscriminate lending was concealed for a long time, but government adopted a multi-pronged approach and government will ensure that dishonest decisions and not erroneous ones are punished, Jaitley said.